Model and screenwriter known for being the oldest daughter of Tami Roman and Kenny Anderson. She's appeared in episodes of Basketball Wives with her mother and she also appeared in the short Sundays at Noon. She modeled when she was younger, representing brands such as Baby Phat and Payless Shoes. 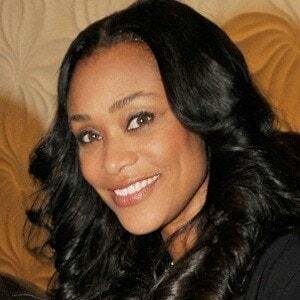 In 2013, after she faced criticism for her hair on an episode of Basketball Wives, her mother publicly apologized to her and promised not to make her appear on the show again. She has a younger sister named Jazz, as well as five half-siblings. Shaunie O'Neal has also been on the show Basketball Wives.